I just finished modeling the props needed for the first shots of my short film. 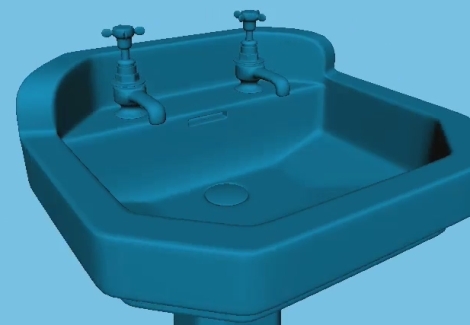 The sink was originally modeled in Maya 8.5 but I have had to do some heavy cleanup on the mesh when I imported it into Maya 2009. For some reason some faces were duplicated and normal inverted. Anyway it is done I am very pleased with the freshly modeled Victorian tap. I might add a bit of texturing but most of the work will be with the rendering. I was tempted to make the props a bit more cartoony but will keep them like this for the time being.